It’s hard to believe that Rock Star (“DJ”) is already 2 years old (that’s her pictured to the at 3 days old) and ready to be ridden! DJ has been lightly started and will remain in light work through early fall. 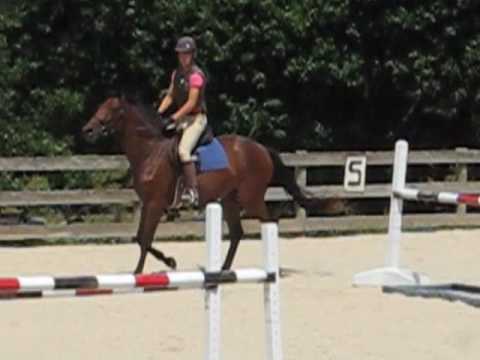 The video below is of DJ’s 4th ride under saddle. Summer working student Emily Urban is the lucky rider here.